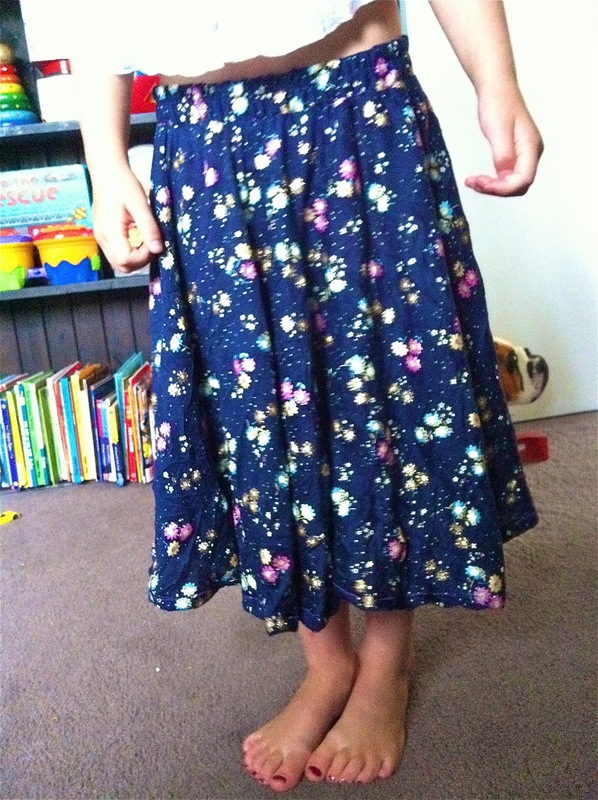 I made this skirt for Stevie. 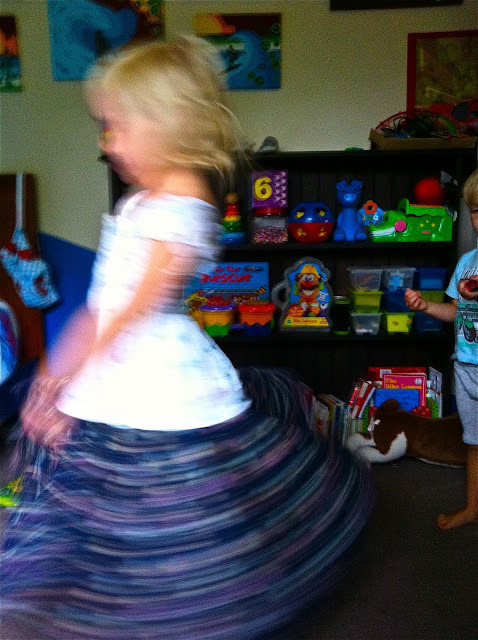 As usual it's a circle skirt for maximum spin. 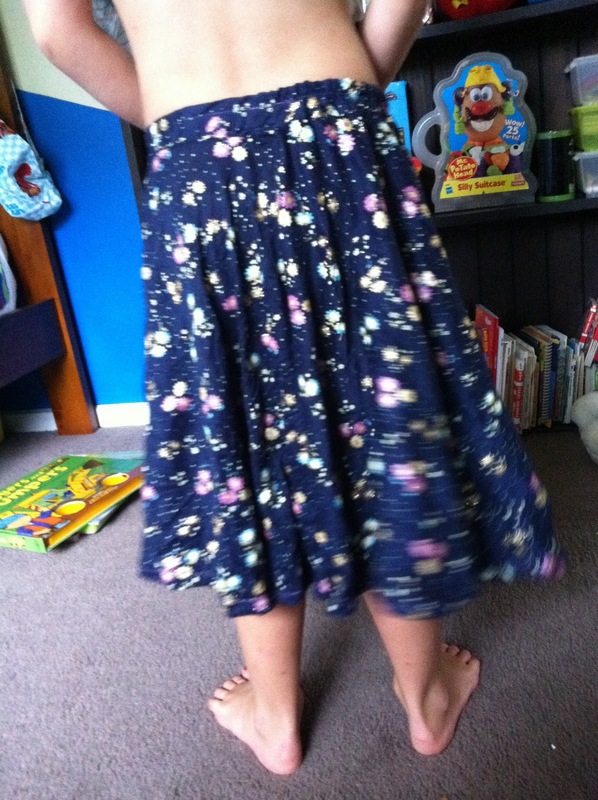 I've had the fabric for quite a while and now that i've used it I wish I had another 5 metres of it. The flowers have glitter on them and I just really love the nark blue colour. 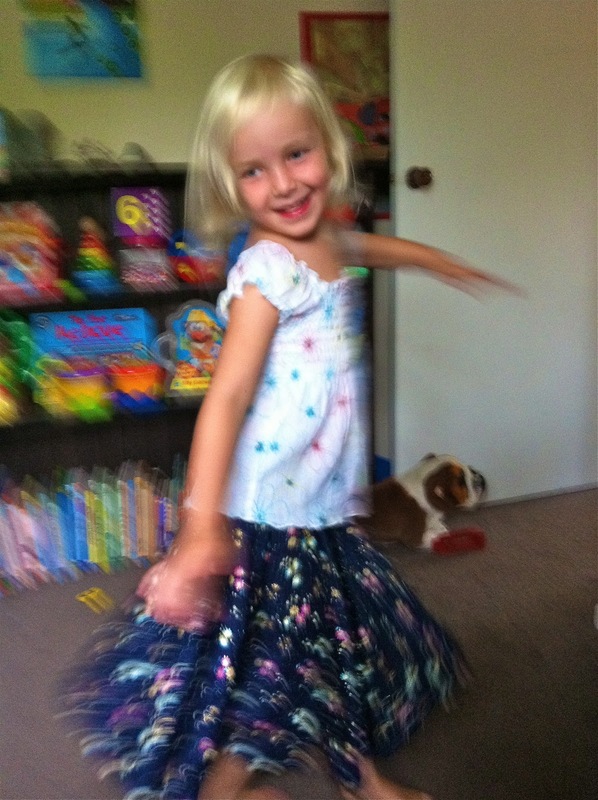 A bit blurry I know but I love this shot. 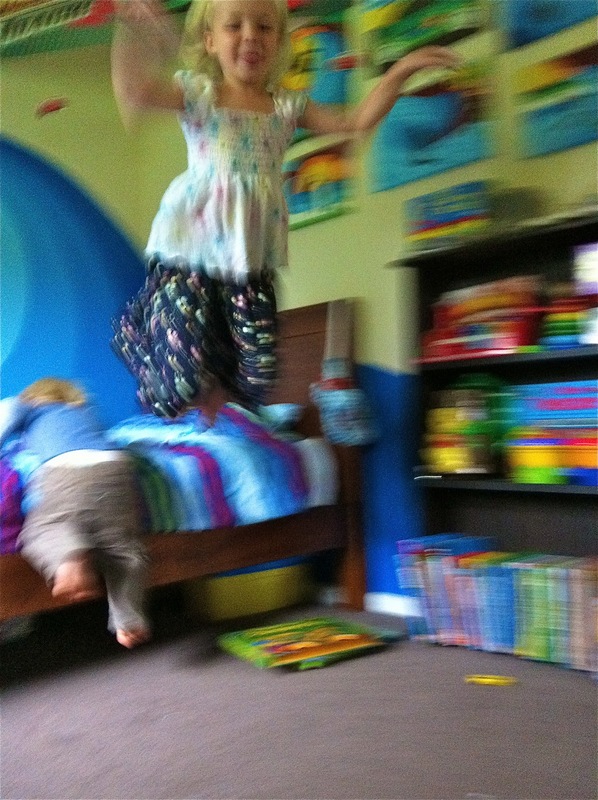 There new favourite game is to jump off Lochs bed. I wonder who will be first to break a leg? Lamps, Lamps and more Lamps!